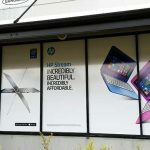 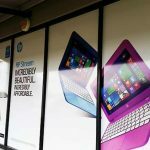 Large windows are a brilliant place to put signage, and whether it’s solid graphics or one way vision, Perth Graphics Centre can make your window signs stand out. 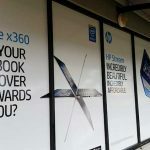 We will come and measure your windows as well as suggest the best placement for your signage, and then optionally provide a proof of how your window signs will look before we go ahead. Our printers use outdoor grade inks, plus with a protective overlaminate, our signs last. These windows for Harvey Norman in Joondalup were completed in a few hours by our skilled craftspeople, who also take pride in cleaning up after themselves, so your shop front continues to look presentable throughout the job. 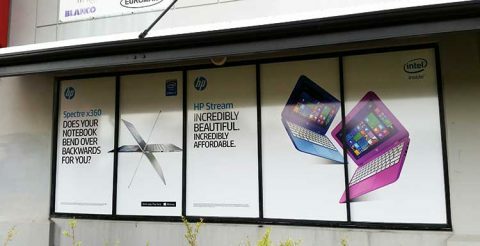 But to make sure your window signs are being used in the best way, proper cleaning is essential. 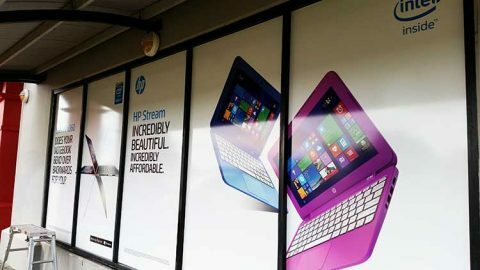 With the protective clear on the face of our window signage, you can use Windex, normal rubber squeegees or even just soapy water and a rag. The laminate is chemical resistant, so even isopropyl alcohol can be used if need be. 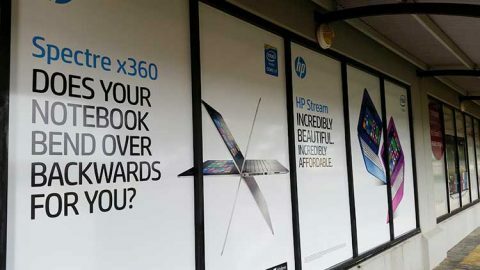 Window signs look great and get your message across, so when you need your windows done, call the team at Perth Graphics Centre.